The nature of doubles sand volleyball emphasizes the “complete” player, where all the skills of passing, setting, hitting, digging and blocking are used in every play. The confidence that comes from playing doubles and being involved in every play can produce tremendous benefits in ball control and mental toughness – skills that every coach looks for in any athlete. The physical conditioning and quick reaction time from playing in the sand translates into quicker movements and higher vertical jumps when the beach players return to the indoor court. Quality group instruction from the experienced coaching staff led by Head Coach Jay Dorsey. Players will receive t-shirt, tank top, and a sand volleyball. For 18 years Dorsey has been involved in developing athletes at all stages of their careers. He began his own athletic career as a standout football and basketball player at Hopkinsville High School in Clarksville, Tennessee. After a short but successful stint at City College of San Francisco where he was Preseason All-American and earned his spot as the 2nd leading receiver in the country, Dorsey went on to play 2 years of Division I football for the Hoosiers of Indiana University. After his second season at IU, Dorsey was invited as a free agent to the Seattle Seahawks, Green Bay Packers and more. He ultimately decided to play arena football in Greenville and Louisville until multiple injuries sidelined him from the professional arena. After finishing a successful football career, Dorsey became a highly sought after performance trainer for youth, amateur and professional athletes of all different sports. His main focus is using innovative and dynamic approaches to increase the athlete’s speed, agility and quickness. Dorsey began his volleyball career 10 years ago. Since then, he has competed at the Open level against some of the best beach volleyball players across various US cities. Alongside playing and training himself, Dorsey began coaching young players in the sand in 2014. He began his coaching career as a private performance coach but later joined C2 Attack Beach Volleyball Club as a head coach for two seasons. In 2016, he completed his USA Volleyball Beach Cap 1 Certification and in 2017, Dorsey signed one of his first beach volleyball athletes to a Division 1 program (UNCW). 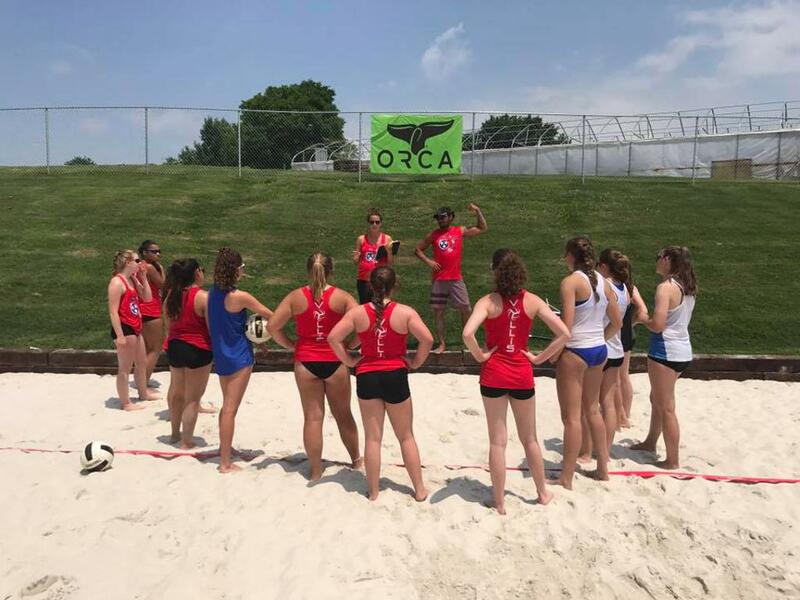 Most recently in 2017 Dorsey built a brand new, state of the art Beach Volleyball Training Facility in Hermitage, Tennessee. The facility, Vollis Beach, successfully trains young and veteran athletes of all different skill levels to compete at their desired level of competition. Program is open to boys & girls ages 9-18. Players must have a AVP America membership and USAV Membership to participate in practices and tournaments. Players do not need to have a partner selected already. Coaches will help players choose partners wisely. Teams may or may not change throughout the season.  There are many junior tournaments in the area and players may choose as many as they wish to enter, usually at $80/team. Teams will need to register through the hosting club’s website or registration portal. Our Vollis Junior Gracie Pedersen Committed to Pepperdine University Beach Volleyball!